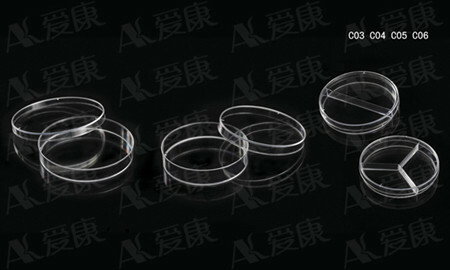 description:90x15mm Petri Dish; Others:EO Sterile, Three Vented; Upper Diameter:92.5mm Produced with high quality polystyrene, Petri Dishes have smooth surface and optimal transparent body. With EO sterilization, apply for bacteria & cell culture. Each lid is triple-vented for precise airflow and the stackable design makes storage easy.